James Clayton Hamrick, 83, of Mount Holly, went home to be with the Lord Saturday, February 9, 2019 at Caromont Regional Medical Center. He was born in Mecklenburg County, son of the late Harvey and Maude Johnson Hamrick. In addition to his parents, he was preceded in death by his wife Muriel Lee Crawford Hamrick. 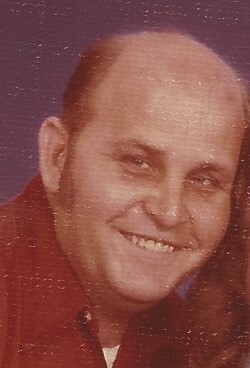 Those left to cherish his memory include his children Jimmy Clayton Hamrick, Jerry Dean Hamrick, Bonnie Denise Hamrick, Karen Renee Hamrick Wells (Roscoe), Nina Lee Hamrick McKinney (Andy), and Virgil Ray Hamrick; grandchildren Jamie Hamrick, Ashley Wells, Andrew McKinney, Natasha Rosario, Christy Tovar, Katarina Wells, and Sean McKinney; ten great-grandchildren; two brothers Everette and Leonard Hamrick; a sister Betty Lou Hester; as well as numerous nieces and nephews. A service to celebrate his life will be held 2:00 p.m. Saturday, February 16, 2019 in the Woodlawn Chapel of Woodlawn Funeral Home, Mount Holly. The family will greet guests beginning at Noon until the funeral hour. Interment will follow the service at Hillcrest Gardens Cemetery, Mount Holly.